“The most effective way to destroy people is to deny and obliterate their own understanding of their history.” ~ George Orwell. 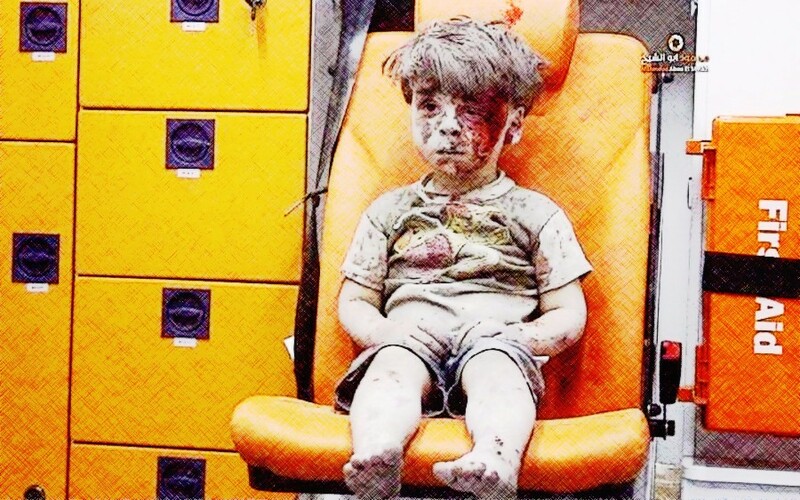 The media furore surrounding the now viral image of wounded Syrian child, Omran Daqneesh, in terrorist-held eastern Aleppo, Syria is still raging, while the push back against the tide of western-sponsored anti-Syrian State propaganda reveals itself to be strengthening with each new spike in pro-terrorist hyperbole designed to provoke a knee-jerk foreign policy response that is either advocating a “No Fly Zone”, or some degree of escalation of foreign military intervention inside of Syria. 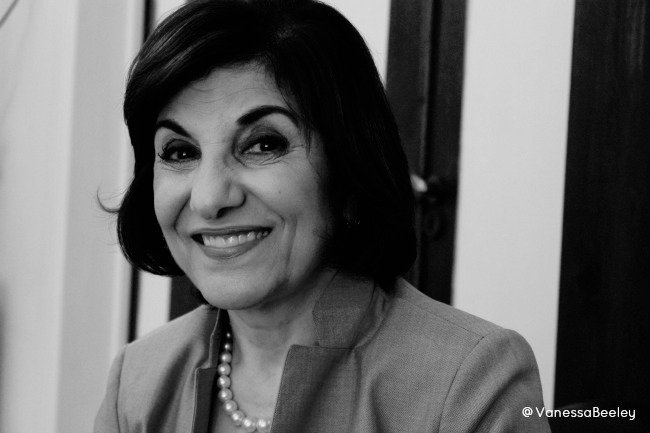 Dr Shaaban believes that there is a need to ensure voices like hers that resonate with passion for her country and its people, which should be heard across a far wider range of media platforms to counter what might be described as a vast Zionist and Gulf State (GCC) funded media network that is driving the propaganda train though the US and Europe. 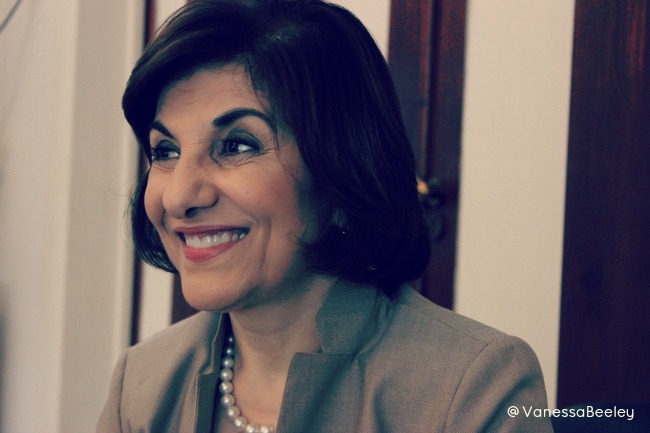 Dr Shaaban mentioned a weekly column that she is writing in Arabic and suggested that perhaps she should translate it for English media. Why is our country being destroyed? Personally I no longer believe that the way the system is working in the west has any ‘democracy’ for us, or has any ‘human rights’ for us, or that there is any ‘free press’ for us in their official media system. If you know how we feel now you would be really surprised. I have two daughters and a son. One daughter is doing a PhD in architecture in London and the other is doing a PhD in the US in international relations and politics. The one in London has a three year old girl, the one in the States has a four year old boy. They have been here for a month, every time they go to the Old City, they come back crying. They say, is it possible that our children cannot live the way we lived, cannot know the Syria we knew, cannot enjoy the Syria we enjoyed? Why? Why are we being prevented from passing on our experience, our culture, our livelihood to our children? Why are our families being destroyed? Why is our country being destroyed? This is a daily struggle for our children. My children take their children and show them everything because they are afraid that tomorrow this will not be here anymore. This is a terrible thing to happen to any country, to any people on earth. We have the right to live the way we think, to live our own culture. You might find Paris exciting, I find Damascus the most beautiful place on earth. This is us, this is who we are. 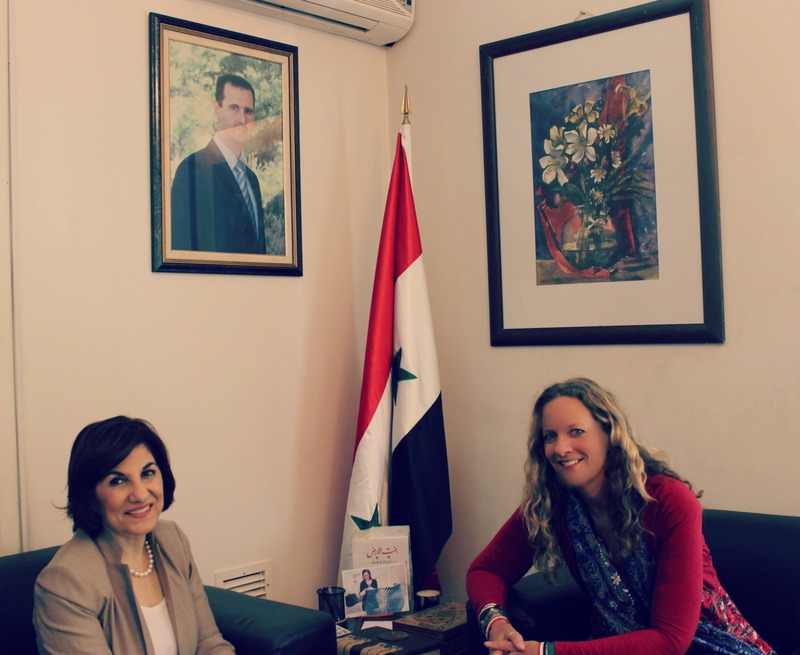 I was asked many times to leave as an Ambassador but I cannot leave Damascus, can you believe it? I do not want to live one year out of Damascus, I can never get enough of this city. “The problem with the western system is that they think they are superior and they think that they want to “civilize” us and they want us to come up to their “standards”, and I hate when I hear Obama or any US official talking about American exceptionalism. What do they mean American exceptionalism? God created us as people. We belong to the same humanity, we belong to the same world. In the Quran God spoke about the differences between us and we should understand that we should celebrate and cherish these differences. This idea of supremacy is basically rooted in racism because it believes in the supremacy of one sect, colour or nationality over another. Reshaping our world and the problems we face. “The Gulf States are a huge problem. With the petro dollar they are feeding the arms industry in the US, UK and France and prolonging this conflict. It is going to be a long process, we are living through a transitional stage in world history. It is going to be a long process in order to reshape our world. That is why we all have the obligation to be active so our new world is based on better values, better ethics, better ways of dealing with each other. To achieve this new world, co-operation between east and west is crucial. The Destruction of the Middle East is to protect Israel. NATO is trying to impose an Islamist extremist state onto Syria’s secular state. “I think there are two explanations for that. First the west should be embarrassed to be supporting countries like Saudi Arabia and Qatar against Syria, Iraq or Sudan. We were the secular republics who produced books, scientists, intellectuals etc. I think there is a reason for that. The reason for what the west is doing, in my opinion as an Arab woman, could be summed up by the Arab-Israeli conflict. I feel that the western support for Israel against the Palestinian people and the destruction of a whole people and their identity by Israel shows that what the west cares about is for Israel to be the powerful state in the region for the next fifty or a hundred years. In order for Israel to be the prevailing force in the Middle East it is necessary to destroy Arabic culture. Unfortunately, now I can see a union of evil between the Gulf States and Israel and western systems. I use the word systems to divorce this evil from the western people. I respond as an Arab woman, who grew up knowing that my country was part of Bilad al-Sham, Greater Syria. I do not say this in an aggressive tone, but in a loving tone because Syria was Palestine, Lebanon, Jordan and I can’t understand why as a Syrian woman, I cannot visit Al Aqsa. Its very close geographically, yet its impossible for me to get there because Israel has been planted in the Middle East. Israel is a major focus for western countries and all these wars against Arab countries and what they call the ‘Arab Spring’ is to destroy Arab armies and to prevent any Arab country being able to resist Israel in the future. They do not want us to be able to liberate our Golan Heights, or Palestine, or to simply assure the rights of the Arab people. By the way, there are at least 50 UN resolutions that give the Palestinians at least half of Palestine and the world is doing nothing about that – on the contrary the US used 37 vetoes in order to prevent the Palestinians getting their rights. Western hypocrisy is amazing. That is where the supremacy in the west is turned against Arabs because it is the Zionist media that tells the west that the Arabs are ‘backwards’ or primitive. People are persuaded by this propaganda and they treat us as the Zionists wish us to be treated. This is racism against Arabs and emanates from the Zionists. Hillary Clinton has spoken about working with the Muslim Brotherhood. It is extensively documented that the Muslim Brotherhood has had connections to the CIA since they were created. Even if we read nothing but we apply the western proverb, “who is the beneficiary” – you will find Israel is the beneficiary from all this destruction. You can see that the army and our intellectuals are the major targets for Israel. They dont want any intellectuals or any army left in our country. They destroyed the Iraqi army. There is a war of attrition against the Syrian army, against the Libyan army, the Sudanese, the Lebanese. We are the Arabs, we are history, we are civilization. What they are doing is against our civilization, against our history and against our future but I feel this is a very dangerous project that reminds me of how the American Indians were treated. They have destroyed Palmyra, they have destroyed our history and our culture. 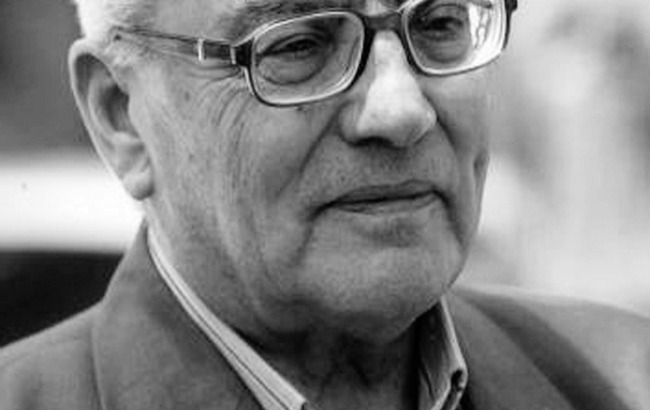 Khaled al-Assad is the only archaeologist in the world who was writing about who was here in the past, in Palmyra. He was proving that the Zionists were never here. They killed him, they burned his library, they burned his books so we have nothing left of his work. From an observers’ perspective, they are focusing on history, material history, cultural history, identity, army. Any power that keeps you as an entire state, or any statesman that represents strength or unity will be demonized and destroyed. Even Ramadan al Bouti a Sunni scholar who was speaking sense was murdered because they want to destroy anybody who speaks the truth or who is influential and can gather people around him. What is the significance of President Assad? He is credible, people believe in him, Arab people believe in him. They do not want anybody like that to have influence. I feel there is a huge plan against all of us. They operate by buying people, Arab people, people in powerful positions who serve the Zionist project against our culture and identity because they can be bought by money. I am talking to you from experience, I was subjected to a huge amount of pressure by many countries to be bought by money and all the temptations you can think of were offered to me but I am somebody who cannot be bought by money. I am somebody who believes in my country and in my people. Even if I die, I can die for a cause. If I can’t live for it I can die for it. Most of the defections that happened in Syria were driven by money. None of them has a cause or an ideology or any credibility with our people. As you said quite rightly, the western people do not see any of this, they only see the shadow. Those people bought by money, they are the shadow state. 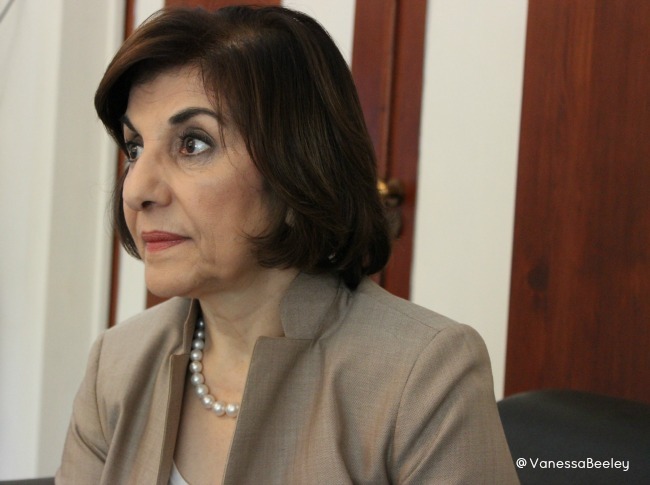 The reason nobody knows the real Syria and the real Syrians, is because the western media has routinely lied and deceived us from the very beginning of the war against Syria – led by the US, NATO members and funded by the Gulf states, supported and encouraged by Israel who, as Dr Shaaban states, stands to benefit most from the perpetual chaos being maintained inside their strongest enemy in the region. 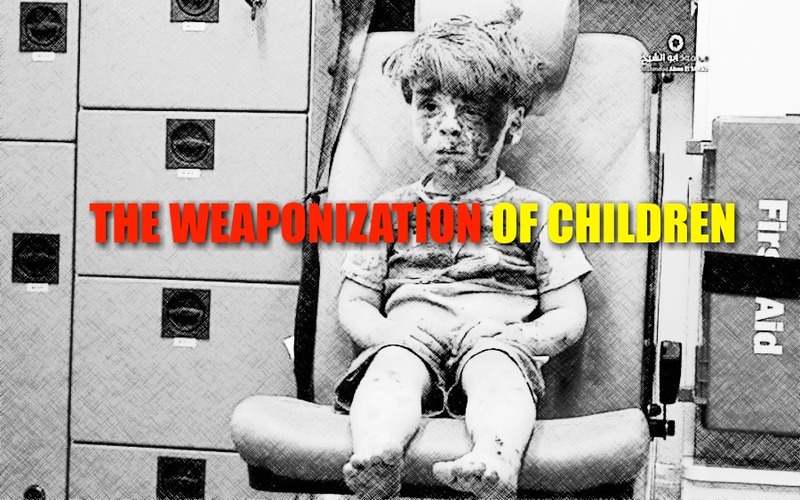 Children are being weaponized to achieve military escalation, the lethal no-fly-zone, and to enable further crowd funding for terrorism under the guise of the NATO first responders, the Syria White Helmets who are nothing more than terrorists masquerading as humanitarians. Nobody is listening to the real Syria but they are prepared to nominate Al Qaeda for the Nobel Peace Prize. To know the White Helmets better and to understand their role inside Syria please read 21st Century Wire’s article: Who Are Syria’s White Helmets. Please get to know the “real Syria” before its too late. This article was first published at 21st Century Wire. ← SYRIA: A Journey into the NATO Propaganda Tent to Expose the Lies. Great interview/article. It’s a maddening situation the west continues to cause. And it’s unacceptable. She is a great lady! Proud to have met her. Syria from a Syrian Perspective.